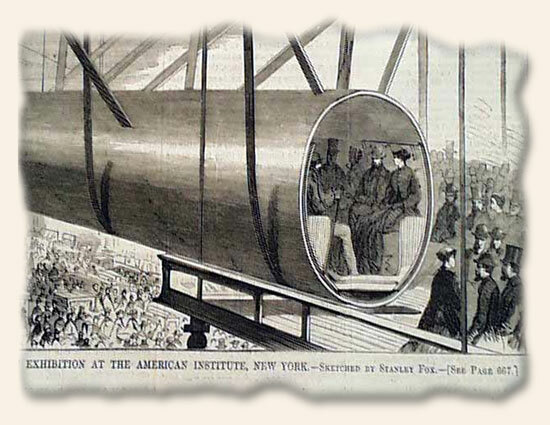 The recent buzz about Elon Musk and his Hyperloop transportation system is an idea that was actually conceived in 1867, and received enough attention at that time that a model of the “Pneumatic Railway” system, as displayed at the American Institute in New York City, appeared on the front page of the October 19, 1867 issue of “Harper’s Weekly”. Once again the old adage and Biblical verse “there is nothing new under the sun” is proven to be true. Every new idea seems to have some sort of precedent or echo from the past. 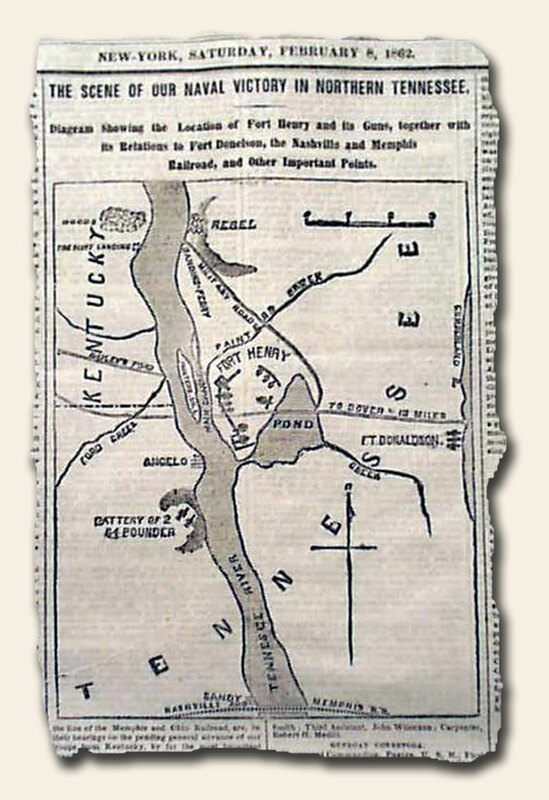 THE NEW YORK HERALD, January 25, 1862 * Battle of Mill Springs, Kentucky * General George H. Thomas The first column on the front page has a very small map headed: “Sketch of the Battle Field & Its Vicinity”, with related heads at the top of the column: “The Battle Of Mill Spring” “The Rebels Overcome by the Superior Fighting of the Union Troops”. 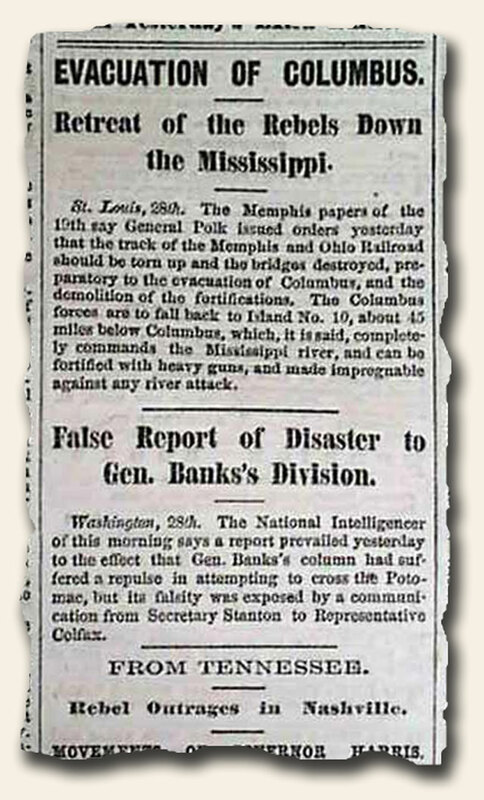 Plus there are other one column heads on the front page including: “The Capture of Biloxi” “News From Central Kentucky” “The Burnside Expedition” “North Carolina Rebels in a Flutter” “News From Missouri” and more. 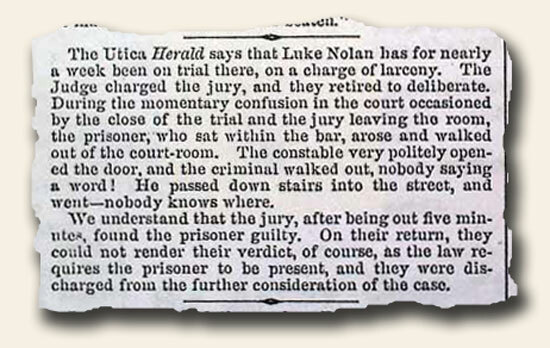 NEW YORK DAILY TRIBUNE, NY, January 25, 1862 * Cedar Keys, Florida * General George Burnside This Genuine newspaper has a Wealth of Civil War reporting from during Abraham Lincoln’s administration. 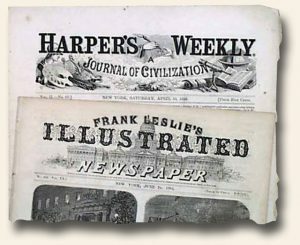 Among the one column headlines on the Civil War are: * LATE NEWS FROM SOUTHERN SOURCES * The Rebels Hear From Kentucky * THE BURNSIDE EXPEDITION * Rebel Alarm And Uncertainty * DRAFTING IN NORTH CAROLINA * Cedar Keys Captured by Union Forces and more. Complete in eight pages. 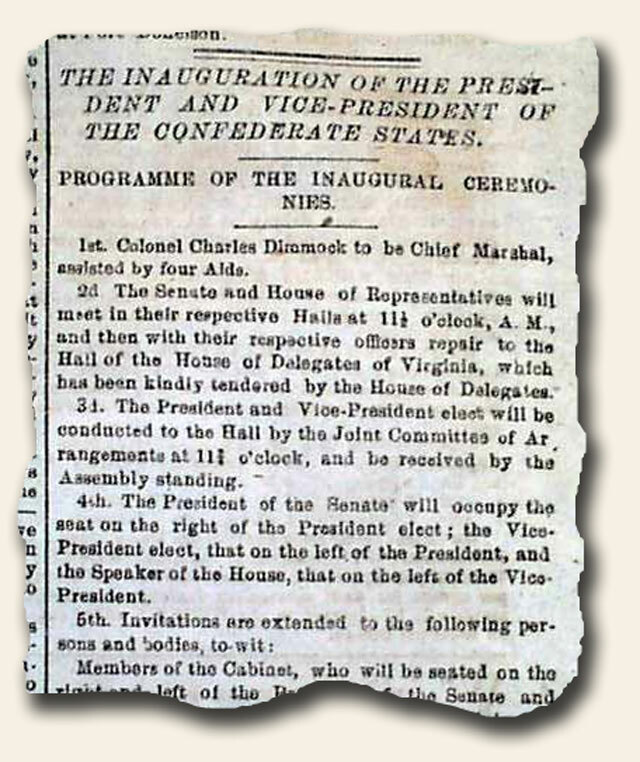 CHARLESTON DAILY COURIER, Charleston, South Carolina, January 25, 1862 * Rare confederate issue Printed in the dateline is: “Confederate States Of America” which is rarely found on Southern newspapers. 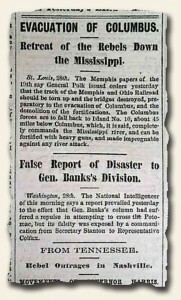 Front page war reports include: “From Richmond” “Latest Northern News–Battle Of Fishing Creek–Probable Total Failure Of The Burnside Expedition–Nine Of The Vessels Lost–700 Yankee Troops Lost” & “The War in Kentucky” “Second Great Victory–The Enemy’s Entrenchments Attacked & Forced–The Stars & Stripes Waving over the Federal Fortifications–The Rebels Driven to the River–Large number of Prisoners & Heavy Losses–Zollicoffer’s Body in our Possession–Bailie Peyton, Jr. Killed.” Other minor war reports throughout, plus various ads and notices. The bkpg. has a war-related poem: “My Maryland”. HARPER’S WEEKLY, NY, January 25, 1862 This issue features a nice full frontpage illustration entitled ‘Little Mac Out Again’ which shows McClellan on horseback. 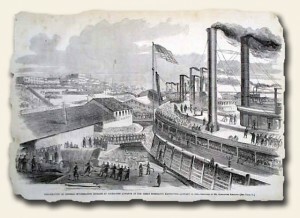 A fullpage features two halfpage illustrations ‘Fort Holt, Kentucky, Opposite Cairo’ and ‘Commodore Foote’s Gun-Boate Flotilla on the Mississippi’. 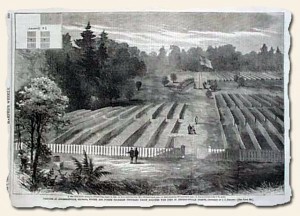 A fullpage “Bird’s-eye View of the Vessels Composing the Burnside Expedition at Fortress Monroe, and Showing Norfolk and Its Approaches”. A halfpage “Map Showing Pamlico and Albemarle Sounds, and the Approaches to Norfolk From the South”. 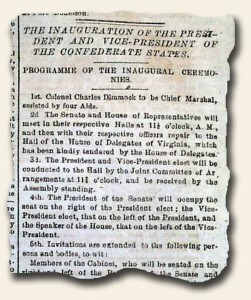 A very nice double page centerfold ‘Grand Reception at the White House, January, 1862’ shows Lincoln & many from the military. A half page “Embarkation of Part of General Burnside’s Expedition at Annapolix, on Board the ‘Hussar'” and a nearly half page “Execution of private Lanahan, of the Regular Army, for Murder, at Washington”. A full page “Birds-Eye View of Bowling Green, Kentucky, and Its Approaches”. 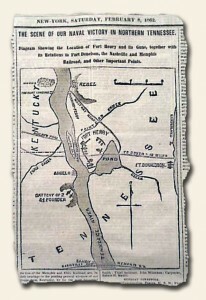 A 1/3 page “War Map, Showing the Theatre of Operations of the Mississippi Expedition and General Buell’s Army. 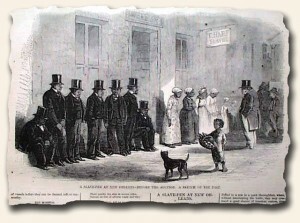 The back page features two political cartoons.